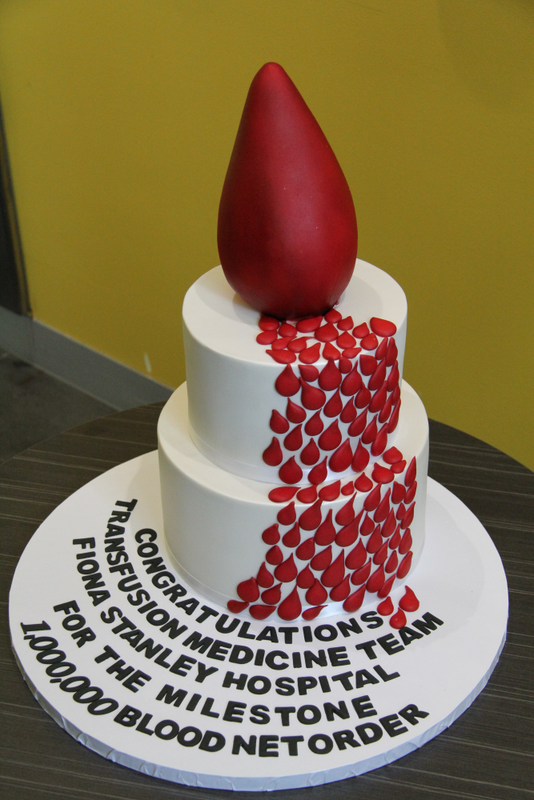 On 24 July 2017 the National Blood Authority (NBA) and the Western Australian Department of Health visited the Fiona Stanley Hospital in Perth to celebrate the one millionth order placed by PathWest Fiona Stanley Hospital Laboratory through BloodNet. BloodNet is the national blood ordering and inventory management system developed by the NBA to standardise and streamline the ordering and receipting process for all blood and blood products. 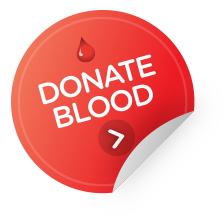 BloodNet has been live in Perth since November 2011 with the primary purpose of supporting laboratory staff to order blood and blood products quickly, easily and securely, manage their inventory, and track details of receipt of ordered stock. 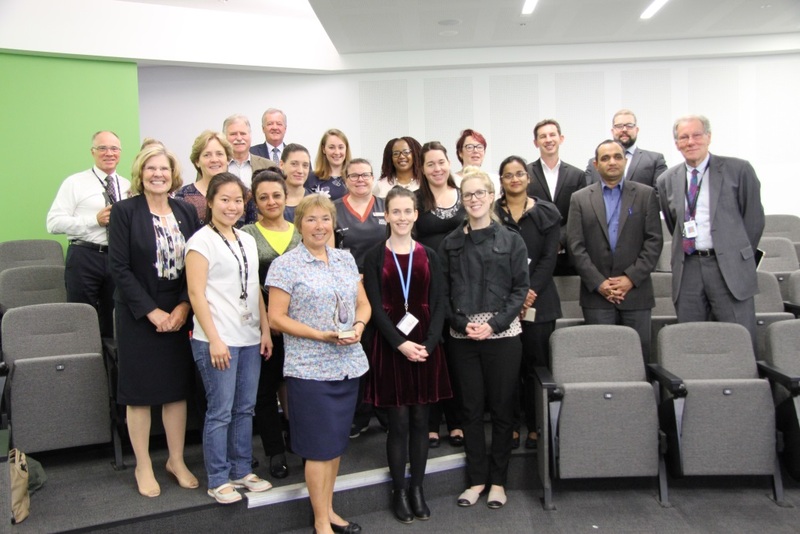 The event in Perth highlighted the significance and development of BloodNet across the blood sector and acknowledged PathWest’s contribution to a wide range of improvements, particularly with regard to excellence in patient blood management and governance. 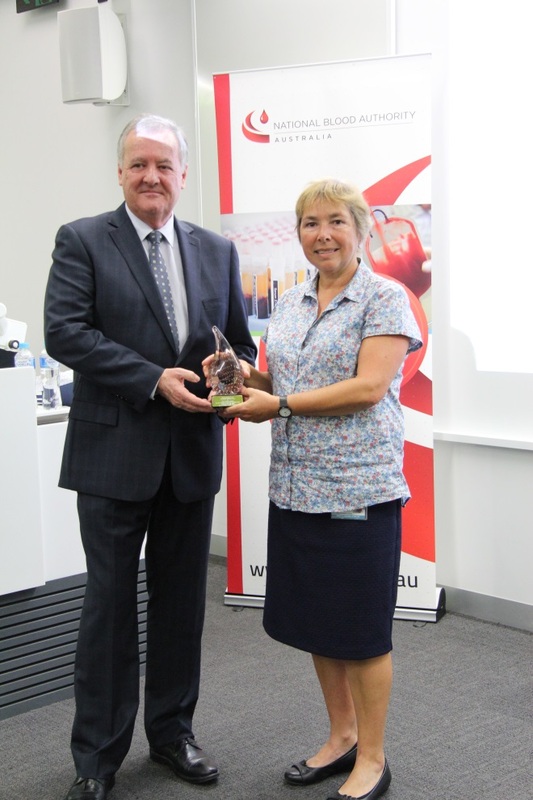 To mark the one millionth BloodNet order milestone, the NBA Chief Executive, Mr John Cahill, presented Ms Annette Le-Viellez from the PathWest Laboratory at Fiona Stanley Hospital with a commemorative award. Other attendees at this event included Dr Paul Cannell, Medical Director Service One, and Christopher Whennan, Service Director Service Two, from the Fiona Stanley Hospital; Kym Parry, WA Customer Service Delivery Manager, from the Australian Red Cross Blood Service; Professor Lyn Beazley AO, former Chief Scientist of Western Australia and current NBA Board member; and Professor David Forbes, Medical Advisor to the Office of the Chief Medical Officer in the Western Australian Department of Health. The NBA congratulates the team at PathWest Fiona Stanley Hospital Laboratory on this achievement.